Blood stain from the fingers of those youths to inscribe on the white paper to express and swear in front of the top leader of CNRP of how much they love their Cambodia motherland. Many people were impressed by the political involvement of the Khmer youths from South Korea. 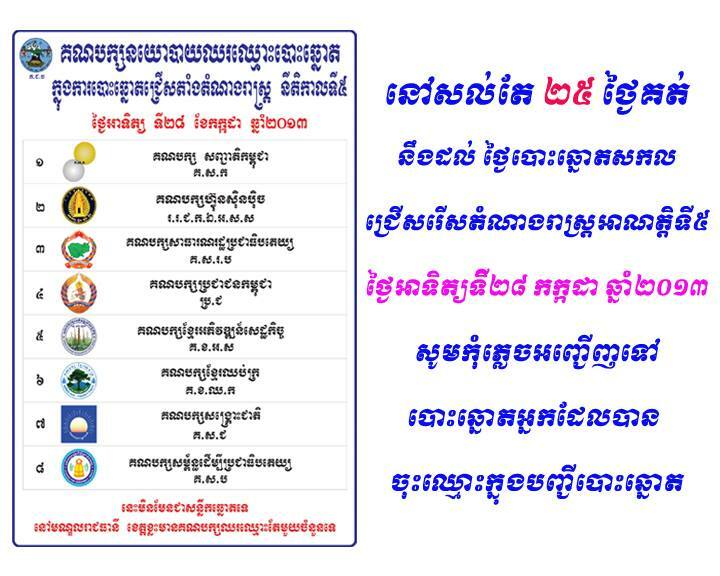 In fact, the greeting ceremony of the political dignitaries especially Sam Rainsy who is the president of the Cambodia National Rescue Party (CNRP) on June 2nd 2013 surprised people extremely through the news and social media. Among those welcoming activities, one of the performing groups used blade to cut the finger to get blood in order to write short phrases on the white board such as “we love Khmer motherland”, “Khmers Love Khmers” and “Khmer leaders must be honest and ethical”. This bravery act has surprised the Cambodian people worldwide. 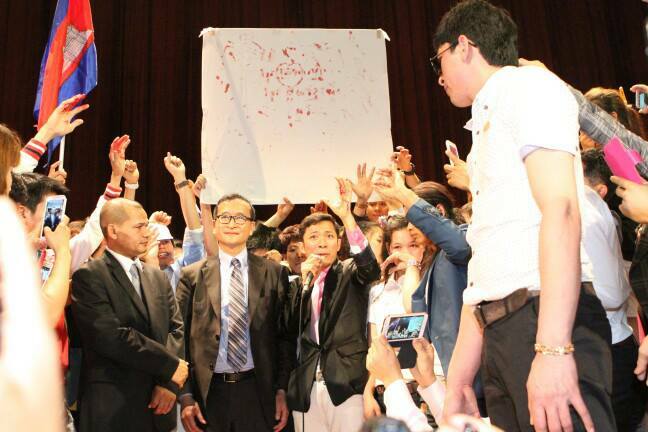 While a local pro-government media wrote that Sam Rainsy stirred up the youths to bleed their blood for that cause, the youths who were actively involving with the event organizing claimed through the video clip on facebook that the bleeding of blood to be used for those phrases was made by volunteering, not from any provoking. According to the Ministry of Labor and Vocational Training of Cambodia, in over 5 months of 2012 there were 4,998 workers were out of the country to legally work in South Korea and the number of Cambodian workers migrating to Korea has been significantly increasing. Many years ago, the owners of Korean enterprises have satisfied with the endurance and work performance of Cambodian workers comparing to other 15 nations. Thus, the demand for Cambodian workers has been doubled while the condition of working and compensation is better than other countries Cambodian workers have been immigrating to. Now, there are approximate 30,000 Cambodian workers are working in South Korea. Those workers are shifting in different sectors such as service, factory, agriculture, construction and handicraft in accordance to their language proficiency and skills. Their wage is claimed ranging from 1200 to 2800 dollars per month. As the result, many Cambodian parents whose children went to work in South Korea, the level of living standard has been visibly elevated comparing to other families within the same community. 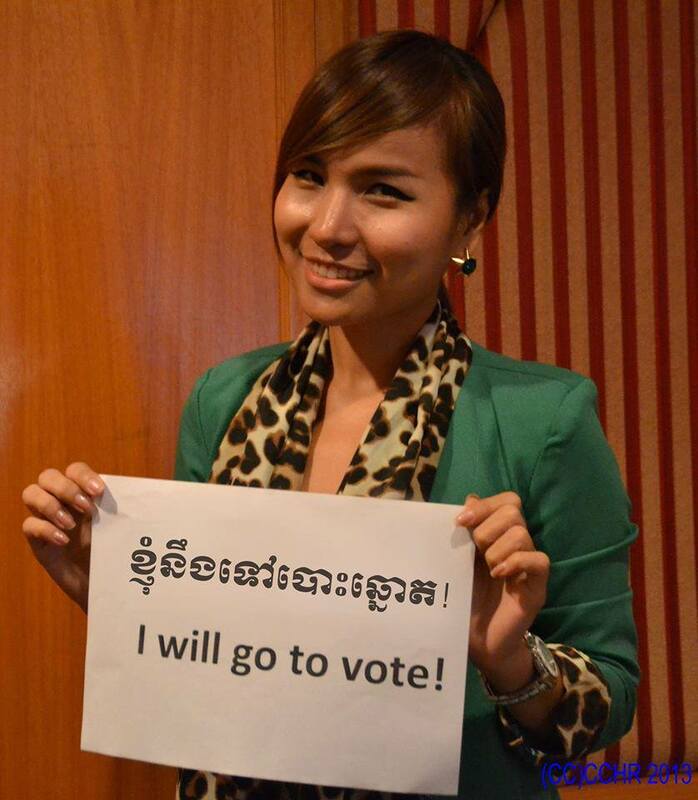 Your vote is your life…so don’t forget to go to vote on 28 July 2013. Vote with your will and conscience. 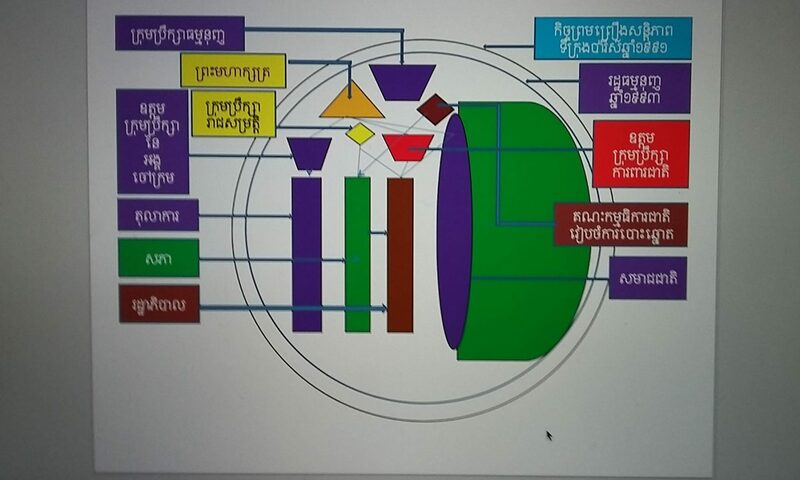 In Cambodia, politics has been shaped from different original context. Many Cambodians have conveyed politics as a bad thing that themselves including their family don’t want to talk about it or to get involved with it. Politics has been translated as “greed”, “power ambition”, “scary thing” or “get away from it” etc. The past killing field and civil war have showed them an evidence of the above belief. The longest serving prime minister and the rampant corruption in society have also showed them an evidence of the above belief etc. 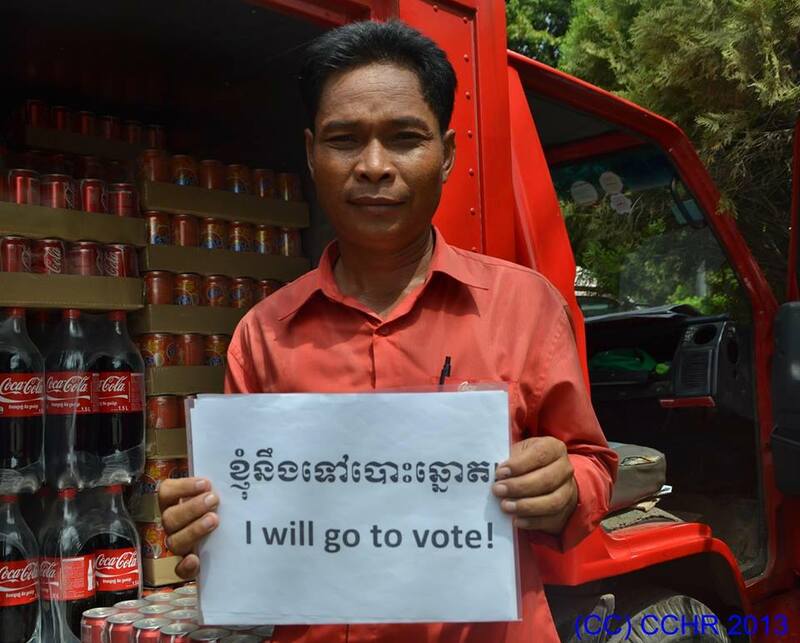 However, this fifth National Election happening this 28 July 2013 has shaped new phenomena and those crowded participation of the young people (youths) will absolutely translate into “popular politics” as well as “popular concept of change” in Cambodia. Above concepts have been endorsed by world scholars especially Lord Buddha. He instructed that “mankind is survived by food”, “the ultimate goal of mankind is freedom”, “the wellness of mankind is considered both mind and body”, etc.